Cyber Safety for children, parents and teachers has never been more important. Awareness of risks is a major step in reducing serious incidents and driving responsible and enjoyable use of internet and gaming technology. We have partnered with Simply Serious Stories to bring a range of books teaching safe and secure messages for children aged 3-10. Check out the books and teaching aids to learn more about safe use of social-networks, chatrooms, mobiles and games as well as sexting, bullying, and radicalization. 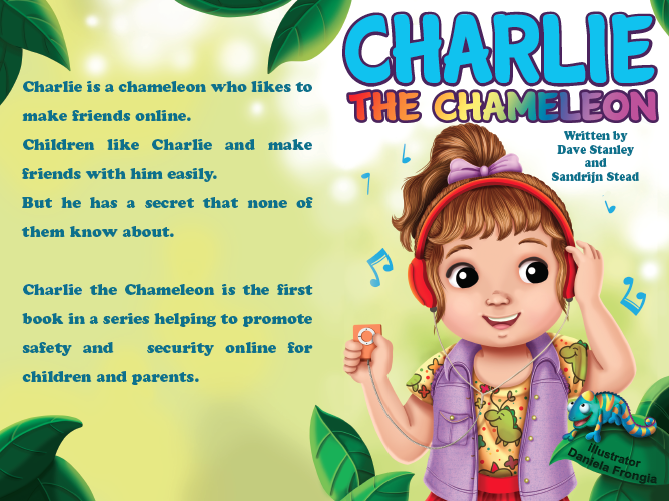 Charlie is the story of a friendly chameleon who can change and impersonate online. But is he all that she seems? Using Animalogy we see how Charlie could manipulate people online. 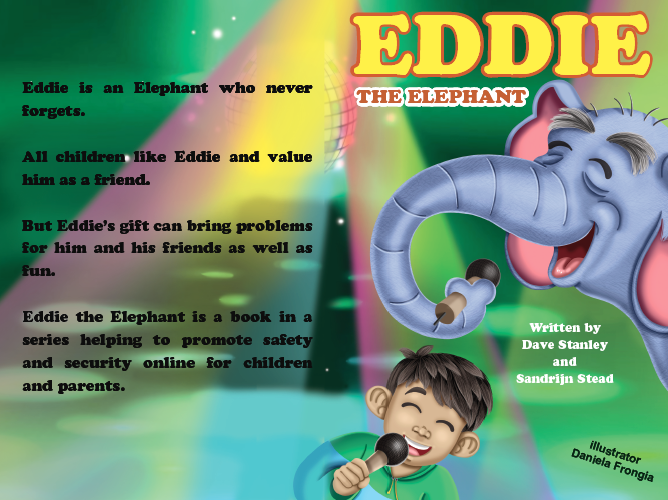 Eddie is the story of a very wise elephant who can remember everything that people tell him. But is this always good? Using Animalogy we see how Eddie’s memory might be like the internet. 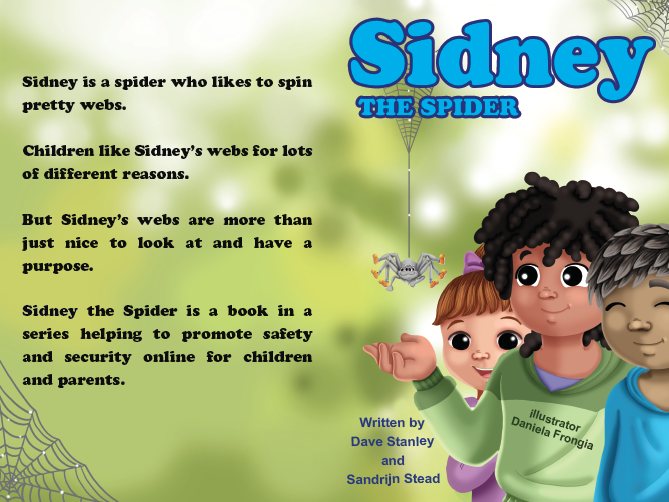 Sidney is the story of a fun spider who likes to spin pretty webs. But are they all what they seem? Using Animalogy we see how Sidney spins his webs to trick people into touching them. 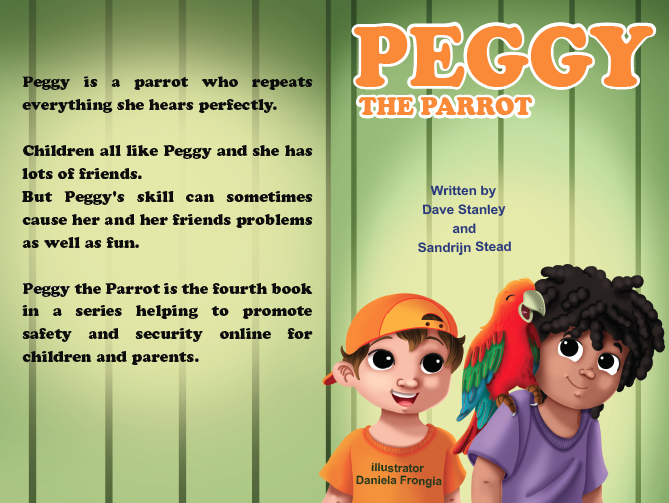 Peggy is the story of a noisy and talented parrot who likes to impersonate people. But is that always a good thing? Using Animalogy we see how Peggy’s talent can sometimes have consequences.